If you duplicate an expense, you will create a new expense from the original that is an exact replica. Duplicating an expense can be useful when you wish to split an expense between different categories, projects or departments. 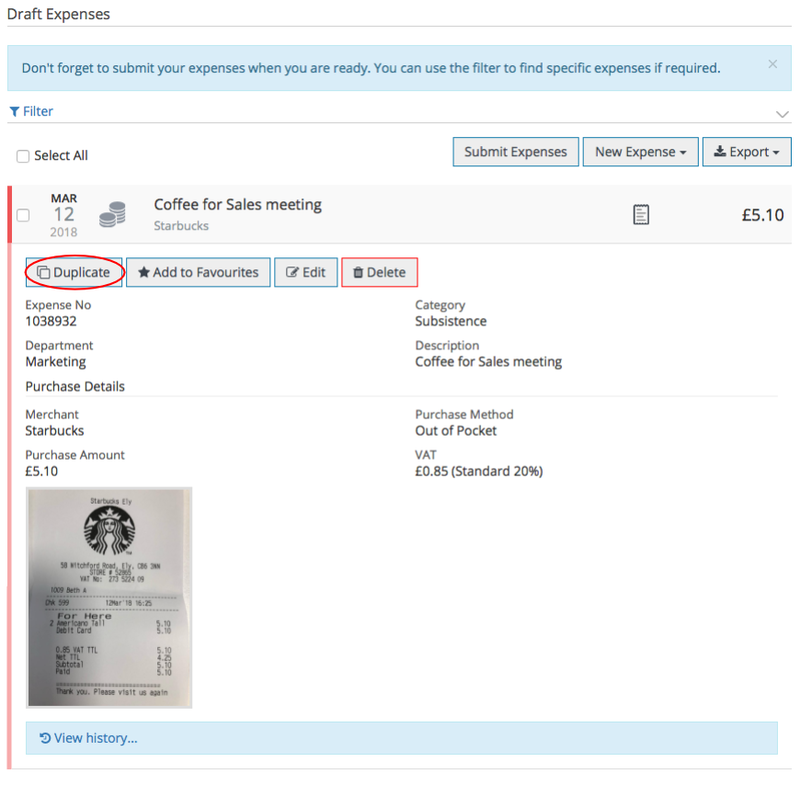 In the Draft area, click on the expense you would like to duplicate. The expense will expand and you are able to click Duplicate. The duplicated expense will be created in your Draft expense area.